Thank you for your support in 2009! From all of us, to all of you– Happy New Year! 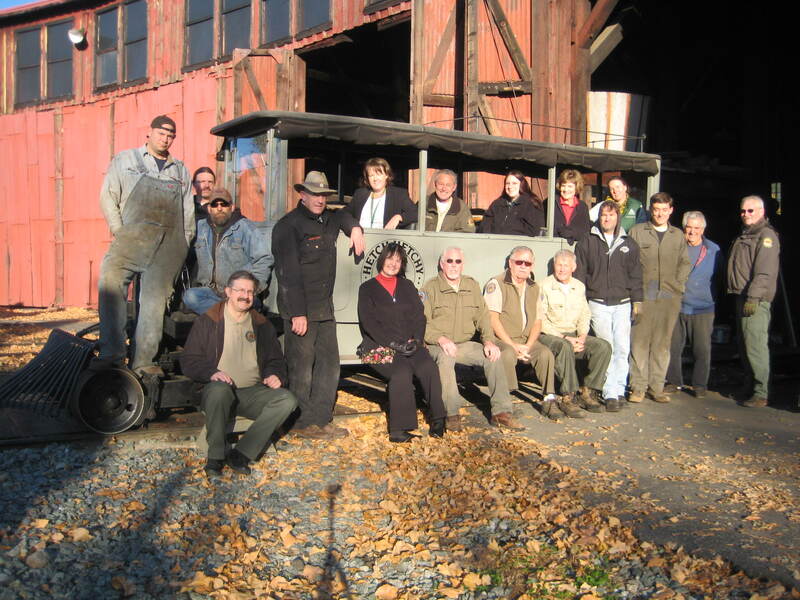 Railtown Staff, including CSRM Foundation Staff and the Sierra #3 staff: Norm Comer, DJ Ponder, Phil Hard, George Sapp, Kim Baker, Danny Taylor, Stephanie Shelman, Lisa Smithson, Shirley Rainwater, Kurt Anderson, James Judnich, Bob West, Rob Buchanan, Ray Harm, Wendell Cushman, Ryan Richelson, Lori Brandon Rainwater, Dave Rainwater. Not pictured: Ken Roy, Joe & Virginia Bispo. This entry was posted in Equipment, Staff. Bookmark the permalink. ← What is that loud noise?